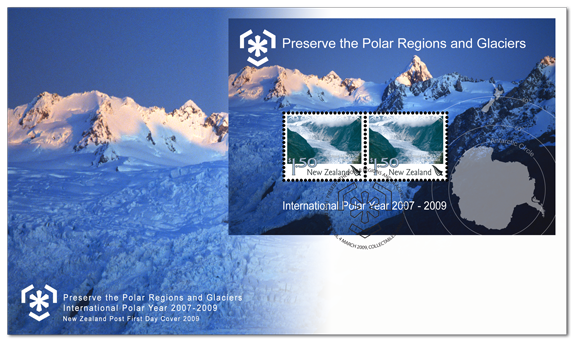 International Polar Year 2007 - 2009. 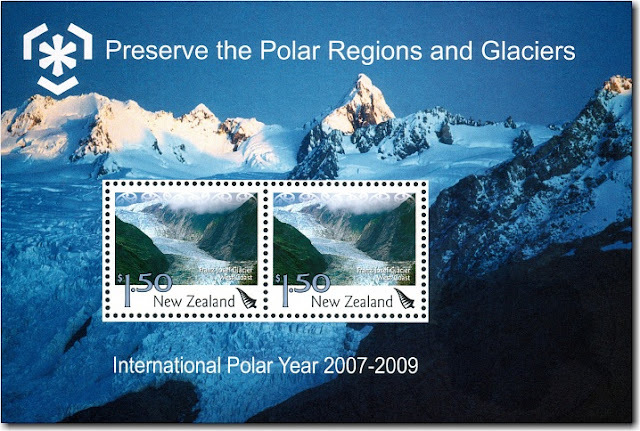 In 2009, at the initiative of Finland Post and Chile Post, more than 30 postal administrations issued stamp products on climate change, the common theme being Preserve the Polar Regions and Glaciers. Each participating country issued its products in the period January – March 2009, with each country deciding independently on the design of its products. A shared feature of all is the ice crystal insignia. The impacts of climate change directly on our environments and on our economies have created a greater focus on sustainability. Consequently, today we are seeing global thinking turned into local action. Sustainability is being adopted as a core value by many individuals, communities and businesses. At New Zealand Post there was an intensified focus on a range of corporate responsibility programmes including an environmental programme of work across all their group of businesses with the stated intention of reducing their 2008 carbon footprint by 12 per cent by 2012. Miniature Sheet with two $1.50 stamps. 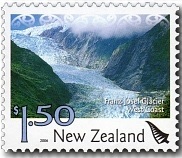 The miniature sheet included two $1.50 stamps that depict stamps featuring images of Franz Josef Glacier set against a backdrop of the Southern Alps from the 2006 Tourism Definitives. These stamps were different from those issued as they did not carry the date. These stamps remained on sale until 3 March 2010. 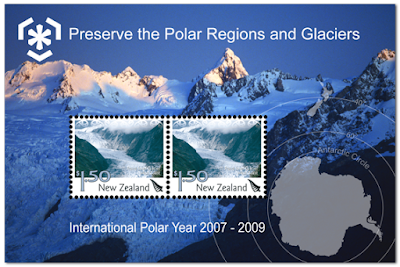 Resene Stamps - Part Three (2010 - 2015).